It is no exaggeration to say that Bengaluru, the one time pub capital of the country, is now the brewery capital. 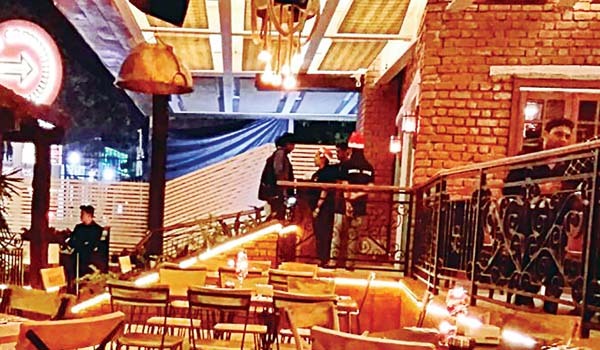 Communiti Brewery on Residency Road opens its doors this weekend. ai?? ?The idea came to us when we were all on a beach with friends and having a good time. The community spirit we felt has translated into the theme of the place,ai??? says the owner Dominic Mascarenhas, who also owns Fennyai??i? ?s in Koramangala. The pub has big sharing tables and large size sharing portions which lend to the theme. The brewery, spread over the ground and first floor, will be operational in the coming weeks. The special brews will have in-house recipes for a variety of stouts, ales and Belgian wheats. ai?? ?We discovered that the Indian Pale Ale and the Apple cider are two of Bengaluruai??i? ?s favourites so we are including that in the menu,ai??? says co-owner Bobby Antony. Apart from that the bar menu includes their signature cocktails section titled, Communiti Friends which has concoctions like Show me the moni: a heady mix of dark rum and white rum, the Shik Shock: vodka and ginger ale, recommended for adventurers and the Bobby booster: a mix of vodka and homemade apple sauce, served shaken. Another section that caught our eye was the coffee cocktails with options like Mexican coffee and Cafe Royal. The food menu starts with a pizza section, with sizes ranging from 12 inch to a super large 16 inch variety, which again promotes their values of community culture. Options include a Pizza proscuitto & pepperoni, a Caribbean pizza (raw bananas, beef, pork sausage, bacon) and Pesto chicken pizza. The appertisers section has dishes like Chilli Texan fries, Spicy French toast (chilli, milk, eggs, onion, coriander on Focaccia toast), Hoisin beef, and a variety of burgers and sandwiches. The main course has a healthy mix of world cuisine, Italian and American dishes. Some of our recommendations would be a Baked Washington, a baked spaghetti dish, the Bunny Chow, a South African classic square bread loaf stuffed with mixed meats, or the Beef Turkish pie. Opt for the Communiti mix meat sizzlers – a juicy mix of pork/beef, lamb liver, kidney and chicken escalope. ai?? ?We want to bring back the charm of old Bengaluru so we have a quiet library bar section and an open and green section. Everything is designed to bring friends and loved ones together over a drink,ai??? concludes Antony.